The `banned’ 007 commentaries: what was the fuss? Over the holidays, we had a chance to listen to the so-called “banned” James Bond laser disk commentaries from the early 1990s. They appeared on Criterion laser discs of Dr. No, From Russia With Love and Goldfinger, featuring some of the people who helped create those classic 007 films. The commentaries have taken on a life of their own. 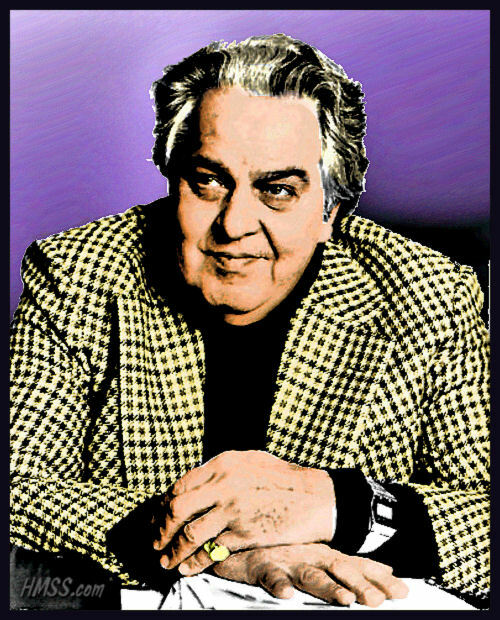 Albert R. Broccoli, who started the film series with then-partner Harry Saltzman, objected after the discs went on sale and unsold discs were recalled. As a result, the original discs are collector’s items. But what was the fuss? Why did Broccoli object so strongly? Some of this language includes anti-gay slurs (or certainly would be classified as that now). Terence Young, director of From Russia With Love, describes his first meeting with Pedro Armendariz. Prior to that encounter, Young says he intended to shampoo his own hair while accidentally using his wife’s hair coloring. He had his hair dyed black but it turned “black green.” Armendariz stared at the director’s hair. “Look here, Mr. Armendariz, you get one thing straight, I’m not a…” Young says before using the anti-gay slur, which got got NBA player Kobe Bryant in hot water when he used it on a referee. Some comments may have rubbed the Eon leadership the wrong way. Screenwriter Richard Maibaum, in an interview shortly before he died in 1991, talked about why James Bond made such an impression on movie goers. “He was a great ladies’ man,” Maibaum says on the Goldfinger commentary. “He was not above using them in his work. That was part of the James Bond mystique, that he could manipulate women that way….The women’s lib people hated that…we eventually had to do it less and less.” That would imply Eon might have compromised the Ian Fleming original to appeal to changing audience tastes. Young, on the From Russia With Love commentary, talks about how the series went from small- to big-budget films. “They threw money around,” he says. Beyond that, the host of the From Russia With Love commentary introduces himself as Steve Rubin. Steven Jay Rubin wrote 1981’s The James Bond Films, a book where Eon didn’t cooperate and thus no stills from the movies could be used. It’s possible his participation might not have sat well with Broccoli. Again, these are only guesses. If language was a concern, well, one can only imagine what Cubby Broccoli would have thought about Daniel Craig interviews such as this one in Esquire or this one in Time Out magazine. Well, from what I heard (as best I remember), the problem with the commentaries was that when Cubby sat down to listen to them, he heard Ian Fleming referred to as an alcoholic. Cubby hit the roof. He said that after making millions off of Ian Fleming’s novels, he wasn’t going to have him disparaged on the very films themselves. This set off a chain reaction that ended up with Danjaq demanding a whole list of changes, Criterion refusing to pay to have the laserdiscs remastered and, thus, the commentaries being banned. And Cubby had a point—the place to casually disparage the author of the books may not be in the audio commentary for one of the Bond films. I have these commentaries and I can understand quite clearly the reasons these were frowned upon by EON. EON was at the time very sensitive about controlling everything that came out about the Bond films. I was quite closely involved in the British fan club at the time and there were many objections to the fan club put forth by EON. Mainly because it was perceived as very pro-Connery. I think since they have loosened up a lot and embrace their history, but then were very sensitive about anything that criticized the current films. This also I think fed into their objections of Rubin’s book and also the second edition of John Brosnan’s James Bond in the Cinema. Looking back I think a lot of this was quite justified. From the fan club there was some severely destructive and in hindsight juvenile criticism of the Moore films. Also as well as the points listed above I find the Criterion comments (though historically interesting) widely inaccurate and actually quite libelous. Terence Young in particular I feel was often very showbizzy anecdotal in his story telling that a lot that was said you could take with a pinch of salt. So though as I said I find them interesting, a bit like a Bond discussion down the pub with all the early key players I really do understand EON’s objections. @John: We’ll go back and check for that specific Ian Fleming reference. Maibuam also calls Fleming “a bit of a snob” while also calling him talented (this happens on at least two commentaries). @MarkA: One of the main inaccuracies we noted was the assertion that John Barry wrote all of the James Bond Theme, and a U.K. court found otherwise about a decade ago. @MarkA: I can imagine Eon objecting to the first edition of the Brosnan book as well as the second. He did not pull any punches on his criticism of YOLT and DAF. I believe he specifically said the producers seem to think that all they needed to do to make a more modern Bond film was throw in a space theme. I recall another story about Cubby’s attitude toward keeping the Bond property close at hand. Eon asked Spielberg for and got permission to use the Close Encounters theme as the keypad tone for the lab in Moonraker. Later when Spielberg requested permission to use a few bars of the Bond theme in a movie, Eon said no. Go figure. MarkA: Eon specifically gave permission for John Brosnan to go through the photo archives at UA and use what photos he desired. I’ve seen the letter in the old photo files. The story about Spielberg is not quite complete. Spielberg called Cubby and asked for the Bond Theme to be used in The Goonies. Cubby said no. Spielberg was shocked. Cubby said he was just joking. The theme is used in the film. Spielberg, a considerable Bond fan, tells this story in print. I can offer a thought or two since I hosted the commentary for From Russia With Love. Writer and director David Lee Miller, who ran Criterion back in the early 1990s was one of the pioneers in developing commentary tracks. When we did From Russia With Love, commentaries were very rare and David admitted that they never asked Eon’s permission to do one. Thus, not only did Cubby object to the content, he probably objected vehemently to the fact that they were never asked or consulted. It was a big faux pas on Criterion’s part. Having written “The James Bond Films” in 1981 and having just completed “The Complete James Bond Movie Encyclopedia” in 1990, both done without a tad of EON cooperation, I probably wasn’t number one on their friends list. However, I think my involvement in the commentary was less important to EON than the straight-from-the-cuff content they provided. I can imagine the look on Cubby’s face when Terrence Young started talking about the fact that Lotte Lenya was in her 70s but still screwing left and right. EON was always about control and these discs were, as one of the commentators above said, more appropriate for a roundtable in the local pup. However, for that very reason, they are fascinating and go way beyond the typical press kit interview. John Cork: I had a chat with John Brosnan at The James Bond Fan Convention in ’81. Knowing I was a Graphic Designer he showed me a proof copy of the dust jacket of the second edition of Jame Bond in the Cinema which was published late ’81. He specifically told me he was having trouble with EON over some of his criticisms of the films. A year later I had another chat with him at the Wembley 007 convention, where he expressed he had no end of trouble and he doubted whether he would ever update the book further. Which as we know subsequently to be so. What a fascinating discussion this is becoming. Oh the wonders of the internet. Can I just say Steven Jay Rubin that your book along with Brosnan’s are the two key works and pioneers of Bond cinema criticism. Also I have gone back to these commentaries since reading this blog having not listened to them in years and apart from the problems highlighted above they knock spots of the official commentaries on the MGM discs. Now that most of the participants are no longer with us I think historically they are extremely important, partially because of the very off the cuff and uncontrolled nature of them. Thanks for the good thoughts, Mark. Having worked as a producer for the last ten years, as well as another 20 years in movie publicity, I know how tightly interviews can be controlled and edited. These were definitely unique commentaries from a colorful group of Bond creators who were there at the very beginning of Bond. Yes, Terence Young could embroider stories, but he was literally one of the most fascinating people I ever interviewed with no exceptions. Well with all the uproar from Kevin McClory in the late 70s and the United Artist / Heaven’s Gate mishap, as well as numerous attempts at controlling the Bond franchise, I can understand Cubby’s over protective attitude and sensitivity. Perhaps Cubby represented the old guard from the Golden Age of Hollywood. Where actors were protected from scandals such as the death of Ted Healy incident which involved Cubby Broccoli back in 1937. Cubby knew that people were people no matter what and he did not want someone’s name being smeared all over the press. That included anyone from Ian Fleming to Howard Hughes. I’m glad that those writers such as Rubin and Cork have not only given us a wealth of information but they have become friends through the Internet and Facebook that otherwise would never have happened unless we met at a OO7 convention (hopefully there will be another someday). I can only surmise that if a writer were to write a ‘kiss and tell’ book today on Eon and the Bonds, the lawyers would be lining up outside their door. However, even with the Seller’s book The Battle for Bond being rewritten after some sensitive material made it into the first printing, Eon has been more open to the fans. @M: That’s actually where we heard them. We weren’t sure how much you wanted to publicize that fact so we erred on the side of caution. I bought these when they came out and followed the activity around them. No one mentions what I heard were the main complaints about the commentary. First off EON productions very carefully monitors these things and they do NOT allow any sort of negative comments get out. Also, they have slightly redone the 007 character and don’t want that getting out. One of their biggest objections was the editor telling what scenes were changed and deleted YEARS after the release. For example, in the original version of Dr. No, Prof Dent thinks that a bunch of pillows are James Bond and shoots “him” six times. Seconds later, when Bond shoots Dent, he shoots Dent, unnecessarily six times just as Dent did to him. This makes Bond a colder assassin, which he kind of was. The film editor waits for this moment and it doesn’t occur because since Bond went to video they cut out the last 5 shots and Bond seems only to be protecting himself. It changes how we view the character and the Broccolis didn’t want that. The editor was surprised because he didn’t know they cut that. He also points out the continuity errors, flaws in the movie making. Remember the editor can only edit the film he has, so the inside of cars change and, Connery actually winds up to punch someone with his right hand but end the punch with his left. It was an indication, to some extent, of how cheaply Dr. No was made. They didn’t want those comments. I’ve just watched both Dr. No commentaries back to back. The contrast is very interesting. The banned one was strictly all the people most involved in the movie’s creation–director, script writer, editor, and so forth. It was a lot more interesting and informative, and pointed out something interesting about almost every shot, including continuity errors and special effect tricks. But it was also remarkably frank–like the time that guy mentioned their location manager hit him up for a loan to found Island Records, but was high as a kite on marijuana at the meeting so he declined. The one that came on the blu-ray had only a little bit from the central staff, but seemed to hunt down practically every surviving bit part cast member and minor staff member (including said location manager) and had them tell stories about their time working on it. There wasn’t a lot of overlap (maybe about 20%), and while all the cast stories were interesting, they weren’t as interesting or informative as the “banned” track. Maybe someday they’ll be able to release a disc with both commentaries on it. That might be worth double dipping for. Yes I’m late to the party here but I have always had questions about this. Did they provide commentaries on any of the other Bond films for the possibility that Criterion would go on and release more of them? Was there a lot on info that was unused because of time constraints? I was one of the interviewers, recordists and editors for these commentary tracks. I am only just now finding out that these tracks were banned. I had a technique for interviewing for laser discs. At the time I had just graduated film school at calarts. I was not very politically savvy on purpose because I was interested in getting the actual details of the movie being made, as well as what was going on in the personal lives of the people who made the film. We did two sets of recordings for commentary. One was the people were wearing headphones and watching the movie and just speaking off-the-cuff as they watched the movie. Sometimes we would pause the movie so they could finish their thought. And then it would be edited later. Next we would read them a list of questions that we had so they could answer some of the more detailed aspects of the things we were interested in as film students and fans of the James Bond movies. Then when I edited these tracks I interspersed both of the details from their off-the-cuff commentary and also with the answers to the questions we had. I found them very interesting, frank and honest. I was not involved with the higher-level aspects of producing the LaserDisc such as the sign off by broccoli and MGM. That was between the Criterion owners and the producer and these other people. As far as I am concerned, if they approved what we edited together, then it was all on them. I view the Criterion Collection as a very special way to view movies that you just can’t see anywhere else. So I was not interested and making the commentary tracks fit the needs of the people who made the film. This was commentary track based on the historical aspect of these films. And if it was Politically Incorrect, then so be it. You should listen to all of the commentary tracks for Spartacus if you want to get really upset about things. Or Midnight Cowboy. I just find these much more interesting when we can see into the minds of the people involved without them having to whitewash their comments for fear of Retribution of some kind. And as an FYI, I have been speaking/dictating into my phone so if there are grammatical or other errors in the typing, I apologize. I bought all these discs when they first came out and listened to the commentaries many times. I see nothing objectionable about any of them. A few four letter words, a few opinions, that’s all. Why can’t we have freedom of speech anymore?